Each new morning brings with it a new opportunity and chance to change your life for the better. All it takes is a few small decisions to set you on the path to changing your life for the better, we all get stuck in a rut from time to time, we all go through difficult times and seemingly never ending struggles. We all feel pain and hurt but the only person who can really and truly takes us where we want to be is ourselves. The only person that can really help you to change your life for the better is yourself, everyday will carry on being the same unless you make that decision to change. Every waking moment is a chance for you to break through your barriers and limitations, the good life is already lined up for you and waiting, but if you fear it or you continue to think negatively it will always elude you, how to you change your destiny, switch focus of attention onto all the things you want and follow your intuition. All it takes to get the ball rolling is one positive thought as well as taking daily positive action steps, then all you have to do is keep that positive momentum going, why feel negative when all you have to do to begin to improve your life is to think differently. We are solely responsible for how we feel and what direction were heading, at times life can seem unfair, you may in times of despair ask the gods why me when the odds keep stacking against you. There is no such thing as instant change and overnight success no matter what people may promise, yes you can be or do anything you want but it does require resolve and determination and the right mindset but it can be done. For most people there lies a better life in front of them than the one behind them. You have to start from somewhere and the sooner you make the commitment to start to change your life the sooner you will reach your destination. That first decision could be the best thing you have ever done and that one little decision is all it takes to change your life forever. If you want to make millions then that requires time, determination a good idea and effort, but if you want to start to be free of negative thoughts and emotions so you feel good nearly all of the time while at the same time experience inner peace and balance then that is more easily achievable. There are many other different things you can to to improve your life, like getting that ideal body, increasing your confidence, learning a new language the list is endless but the number one priority in life is to feel good and be the best person you can. Only you can change your life, others can give you good advice but they cannot change it for you. In many ways we have been misguided by other people's beliefs and idea's which have kept us stuck where we are, but you know you can have and be so much more, life is all about having a purpose, setting goals and seeing them through, if your stuck in a rut you know you're so much better. To move forward we sometimes have to step out of our comfort zone, we have to find the courage to face our fears and take calculated risks to get to where we want to be. The secret to a happy life is to enjoy the moment, when things go wrong accept what's happened, don't dwell on it, go for a walk to clear your mind then let it go, because if you don't you will be drawn into a inner conflict which will cause you endless negative resistance, needless emotional overwhelm and suffering and you will achieve nothing. The good news is it does not matter how you're feeling right now or where your at in your life as long as you know the direction you want to go, you might be hurting right now but one day your going to look back and be thankful you decided to change your life for the better, every success story started off with a decision and a beginning. Has anybody told you that you have limitless untapped potential, do you know you can have and be anything you want, you are the creator of your own reality. You can never reach your true potential because creativity has no limits. Do you want to create your life by default or do you want to take charge of your feelings and destiny. Most people are still unaware or they are in denial of what a marvellous and powerful creation they really are. You can choose the thoughts you want to think, you have the capability to focus on things that make you feel good and you can train yourself to become anything you want with the right positive attitude and action. Although we have our families and friends to consider and care for don't neglect the most important thing in your life which is you, sometimes we need to be a little bit more selfish and put our own needs and want's as our top priority. It's about time you took charge of yourself by becoming stronger and bolder, stop allowing old limiting beliefs from preventing you from moving forwards. Limiting beliefs will block your success, they can affect your health, relationships, financial success and fitness levels. To change you need to make new decisions and stick with them come what may, see thing's through until the end. Change begins within, you must start growing from the inside out, decide enough is enough, you are the master of your own feelings and reality so you are going to create the life of your choice. Tell yourself what you want and make that critical decision you're going to make a difference in your life no matter what it takes, you need to begin to deal with your challenges and issue's and learn how to overcome them, face them head on. Stop focusing on your problems because all that does is make the problem bigger, it also causes negative emotions, instead do something more productive and search for solutions or answers to your queries and personal issue's. Are you using your thinking time to change your life for the better, we all go through a lot of struggles, many people have been badly hit by the economy, other are suffering from stress, worries and anxieties but you have to make a decision to get the best out of yourself and your life. You should be experiencing joy and success, but most people aren't, if you want to change the quality of your life you have to make a decision, the truth is if you don't find the inner resources which are already within you and make a decision to do something new then the chances are you are going to carry on struggling. Ask yourself are you living your life full of enthusiasm, joy and energized, you have to instruct and demand yourself that you are going to live your life at the highest level possible, demand the very best of yourself, you are in complete charge of your life so decide what you want to accomplish and go for it. Decide this is your time to be a better you, don't just put up and go through the motions, to have more and achieve more, you have to face and overcome your fears, if you want more wealth you have to make commitments, nothing is given for nothing, there are many get rich schemes but few deliver, financial abundance rarely just turn up you have to go out and work for it, it's not about luck you create that yourself. You have to study the greats and the leaders in the field you want to enter into, learn from the successful and the highly motivated, to succeed you have to try and equal or be better than your competitors, if you are going to have more abundance and, you need energy, motivation, stamina. You need plenty of energy ,most people burnt out through stress and fear, they rely on caffeine or energy drinks to keep them going but this is short lived energy and int he end it all catches upon them. To succeed and break through the barriers that have been holding you back you need courage, commitment and a constant level of natural energy so you can cope with all the challenges you have to meet. You cannot always control the circumstances around you but you can control the way you respond to them. If you want more wealth you will need to learn how to influence people and help then change their lives for the better. So where are you at now and where are you're going and what do you want to be, our life and our feelings are determined by our thoughts and perceptions, these form our paradigms which determine our reality. You have to first throw away some of your old beliefs and replace them with new ones that are gong to help you. Your thoughts and beliefs need to support you and they need to be in alignment with your goals and what you want. the first step to move forwards is destroying those doubts which is the first challenge most people meet when they want to change. Base your thoughts on a new you and a positive future, don't let your past from stopping you from changing your life for the better. To succeed you need to change your mindset, to many people allow past experiences and negative patterns of thinking and behaviours to prevent them from living the life they want. Are you in control of your thoughts and feelings, do you allow your fears and doubts to sabotage your efforts to change and becoming the ideal you. You cannot succeed if your focusing all your attention on negative things, negative attention causes negative resistance and ultimately leads to doubt, uncertainty and failure. If you want to achieve your goals you have to release and let go of the past and all negative resistance, if your thoughts are not making you feel good then they are not helping you so they are not worth giving them the time of day. Sometimes a little negativity can be an indication you need to make a change of direction, so you can learn from them however the majority of negative thoughts and feelings offer you no benefits so ignore them and think about things that are going to benefit you. How do you spend all your free time, do you just watch endless none educational TV and celebrity gossip, although there is nothing wrong with this to a degree it is not going to help improve your life, spend some of your time researching and learning about things that can help better your life, relationships and your financial situation. What you focus on will determine how you feel, what you do and become, you become what you think about most of the time, to change you have to think more positive and experience positive feelings, but just thinking positive will not change your life, it will make you feel better but to change your life you have to take action. To maintain your success you have to feel good nearly all the time, the only way to do this is to think and focus your attention for long duration's of time on positive and helpful thought patterns that are going to benefit your life. Start to learn more about yourself and study the successful, you need to be enthusiastic, driven and discover how to get more out of yourself. Make more out of your time get the most done from the sometimes limited time scales you have. Start to become focused, centered and balanced, do you very best, make plans and stick to them, there has to be a time when you stop dreaming and thinking about changing and start the doing, thinking is always the main thing but without action thinking just becomes dreaming. The first thing you need to do is overcome your fears and reduce your stress otherwise you are going to end up spending all your time and energy focusing on things you don't want and you will be stuck in a negative energy state and these negative states will sap away all of your energy. We have two choices we can feel good or we can feel bad, when we feel bad things don't go so well, when we feel good things work out better, we become more healthy and it is a much better feeling. If you just want to feel good, focus on the things that make you feel good and ignore all the thoughts and avoid what ever makes you feel bad. Demand to feel good, work at it, the solution too feeling good is quite simply, all you have to remember is what you focus your attention on and what you think about determines how you feel. Bit by bit force yourself to think about what you want to think about, focus on anything that makes you feel good, it will take a bit of effort at the start but gradually you will begin to feel better and better. Try and mix with positive people, it can be hard to make positive changes to your life if you are surrounded by negative people, if you cannot get away from negative people ignore them as best you can. Don't let others try and influence your decisions to change your life unless it is positive and helpful advice. We are vibrational being's, there are only two energy states good feelings and bad feelings, which energy you are vibrating at will totally depend on what your thinking about and what your giving you attention to. Negative feelings mean your focusing on what you don't want or what you dread happening, tell yourself I am going to concentrate on feeling good and being happy. If you have been experiencing negative feeling's for a while don't try and make a quantum leap to feeling blissfully happy and good, that can be to bigger a step to make in one go. Instead it might be more realistic to go from feeling bad to feeling better then go from feeling better to feeling good, just decide your going to feel good and do anything to start off with and then work hard to keep the momentum going.. The more attention you give to something especially if it is something you don't want and the more you become involved in it the you start to have conversations with yourself as you become more focused on the things you don't want you will create feeling's that don't feel good, and as your energy shifts it can immediately affect your experiences around you and this can happen fairly quickly. You are the creator of your own experiences including sometimes how people treat you and what happens in your surrounding environment. We have gotten into the habit of knowing how to feel bad more than we feel good, this becomes the easy choice, but not the right one though, but to feel good and to create a better quality of life you have to practice at focusing on the things that makes you feel better. Why should you focus on feeling good, because we are meant to feel good that's why we have been given the choice of creation, knowing that you should aim to feel good all the time, why because that's what you should want to because it beats feeling bad. learn to live in the moment and only focus on a compelling future. Nobody else is going to do it for you because you have been the choice to decide how you feel and what you want to manifest in life. If you want to feel good or achieve your goals you have do the work and although taking action is important the larger part of the work is the mental stuff. If your not in a good place now it's down to what you have been focusing on. Your emotions are and indicator of where your at, how your feeling is an indication of current success or your lack of success. Although it is important to quieten the mind and take control of your thoughts, feeling's and emotions your physiology is equally as important. Meditation is a great way of quietening the mind and improving your brain power and creativity, it will also help you to reduce stress and tension so it can benefit the mind and body as does hypnosis. Your body needs exercise, but it also needs rest and relaxation, if you overwork the body then you're soon going to feel wiped out, low and lethargic. Your body responds to your mind, but your mind also responds to your body, most people see the mind and body as separate but really they are both linked and work as a whole, in other words they both affect each other. It is absolutely crucial you adapt the correct posture because your posture has a profound impact on how you think and feel. Confident people stand and sit upright but in a relaxed manner, you need to learn how to sit and stand correctly, you body should be balanced, aligned and relaxed but nothing should be forced, avoid the so called perfect rigid posture. Your body needs a good and healthy balanced diet, good nutrition or a good quality natural nutritional supplement is needed to maintain your energy levels. You also need some good quality sleep, how much sleep is enough, that depends on you but you need enough to keep you energized all day long. If you want more wealth, you have to focus on making more money or more importantly focus on the things that are going to make you more money. To make money you have to tune into your creativity, to become creative you need to feel relaxed and to feel good. Some of the best ways to make money is by helping others to solve the problems or entertain them, learn to relax and the idea's will come to you, you also need study the successful be determined and you need drive and motivation. They say everything happens for a reason, sometimes this seems hard to accept when seemingly you're doing everything right yet things still keep going wrong. The law of cause and effect says that for every effect in your life, there is a cause, again this can be hard to stomach when you get knocked down yet again, but you have to rise up because it feels bad going down but it feels good when your going up. Ask yourself this question is there anything in your life that you're not satisfied with, you probably already know the answer, it could be related to your finance, career, well-being relationships or health. Then ask yourself this question, what do you think has caused this problem? Behind your lack of success or progress or your problems will be a number of negative and limiting beliefs, these beliefs that are holding you back are things you have told yourself or what others have told you that you have accepted to be true. These limiting beliefs forms your thinking habits, and duly they will eventually block your path to success and change. Beliefs are everything, to solve your problems and to live the life you desire the only way to do this is to change your beliefs, if you can change your beliefs you change your life. Make this your moment, nothing is going to change unless you decide it's going to, break through you fears, if you want more money go out and grab it, because it rarely comes to you, if you want to feel good make it your goal. How many times have you let a opportunity pass because you thought you were not ready or good enough. You cannot change your life without having the right mindset, you have to get rid of the mental clutter which you have picked up along the way. Doubt and negative limitations can prevent you from going to the future, until you release the past your going to remain where you are. You will struggle to find a better coach and mentor than the legendary Jose Silva to help you get the best out of yourself. 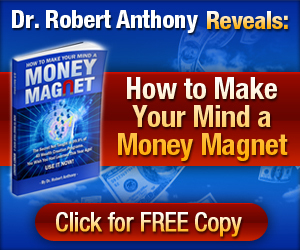 He knows what works and he has created a series of exclusive recordings, books, home study courses. Silva's work has been praised by Wayne Dyer, Shakti Gawain, Deepak Chopra, Dr. Carl Simonton, and many others. Use more of your mind to push you forward and create the life you desire, because change and success starts with gaining momentum. Jose Silva is one of the worlds best trainers to help you change your life. The really secret is your never going to change your life or become more successful and healthier with negative emotions. To better your life you need to feel good first to be able to achieve your goals and not the other way around. Most people get it all wrong because they tell themselves they need to achieve their goals to make them feel good or make their life better. Before you can manifest the life you want you need to quieten your mind and tame your emotions, the Jose Silva website below is full of proven ways and programs to change your life. To Change Your Life For The better.... Click Here!